This reading group guide for The Room on Rue Amélie includes an introduction, discussion questions, and ideas for enhancing your book club. The suggested questions are intended to help your reading group find new and interesting angles and topics for your discussion. We hope that these ideas will enrich your conversation and increase your enjoyment of the book. When Ruby Henderson accepts a proposal of marriage from the dashing Frenchman, Marcel Benoit, she envisions an idyllic life in Paris. But it’s 1939, and World War II is imminent. Marcel proves distant as a husband, and Ruby experiences acute loneliness early on in her marriage. After Marcel’s death, Ruby is determined to continue his efforts in the French Resistance, and she begins sheltering Allied pilots, using her apartment as a safe house. Among the many men Ruby hides is the injured RAF pilot Thomas Clarke, whom she nurses back to health. As Ruby’s emotional attachment to Thomas grows, she worries about his return to battle. When her Jewish neighbors, the Dachers, are deported, Ruby vows to protect their daughter, Charlotte. Ruby and Charlotte become a family, risking everything for the Allied cause. 1. Describe Ruby Henderson’s first encounter with Marcel Benoit. Who or what is responsible for the distance that grows between them during their short marriage? 2. “Why do we have to be Jewish anyhow?” (page 14) How does eleven-year-old Charlotte Dacher experience religious discrimination in the days leading up to the Nazi occupation of France? To what extent do her feelings of alienation facilitate her special bond with the American expatriate Ruby Benoit? What shared qualities make Charlotte and Ruby compatible? 3. Compare and contrast Marcel Benoit’s and Charlotte Dacher’s reactions to the news that Ruby is pregnant. What do their reactions reveal about their characters and their feelings about Ruby? 4. “I don’t understand. You’re working for the Allies? Why didn’t you tell me?” (page 60) Discuss Marcel’s secrecy about his underground Resistance efforts. How reasonable is his decision to keep his work concealed from his wife? Does Ruby’s sense of personal betrayal in light of Marcel’s secret seem justified? Why, or why not? 5. How does Ruby’s baby’s stillbirth impact her relationship with the Dacher family and her sense of personal responsibility for Charlotte? How does the child’s death affect Ruby’s relationship with her husband, Marcel? 6. “I must help. I must take over Marcel’s work on the [escape] line.” (page 103) Why does Ruby volunteer to continue her late husband’s work in the immediate aftermath of his death? What does her determination suggest about her love for her adopted country? 7. How does the arrival of the injured RAF pilot Thomas Clarke help Ruby to regain her self-confidence and sense of purpose? What does his willingness to risk discovery in order to help Charlotte’s mother reveal about his nature? 8. “This is France, Madame Benoit. We are French citizens.” (page 204) Discuss the roundups taking place in Paris during the German occupation. Why does Monsieur Dacher persist in believing his French citizenship will protect him and his family from being arrested? To what extent does Ruby’s eventual arrest and imprisonment as an American citizen seem surprising? 9. How does Lucien, the young forger, become an important part of Ruby’s extended Resistance family? What explains the intensity of Lucien’s connection with Charlotte? 10. How does Thomas’s return to Paris two years after Ruby helped him to escape the first time confirm the depth of their feelings for each other? Given her unique predicament—serving as a surrogate parent to Charlotte, sheltering wayward Allied pilots, and eking out survival during wartime without any steady income—why does Ruby surrender to Thomas’s affections? How does her eventual pregnancy transform her? 11. “This war, it has changed everything about the world. But our most important lives are still on the inside, aren’t they? What matters is what’s in your heart.” (page 312) Discuss Charlotte’s distinction between inside lives and outside lives. Why might difficult historical and cultural periods such as wartime serve as catalysts for more dramatic interior lives? 12. How would you describe Ravensbrück, the German work camp where Ruby is imprisoned? Why does her pregnancy make Ruby especially vulnerable in the camp? What does the altruism of fellow detainees and German civilians reveal about the potential for goodness in the midst of tremendous evil? 13. To what extent were the deaths of Ruby and Thomas a narrative surprise to you? Why do you think the author chose to end their lives at the same point in the dramatic arc of the novel? How would you describe your reaction to the author’s description of their afterlife reunion in the poppy fields of California? 14. Discuss the depictions of Paris in wartime in the novel. How do the author’s details of the behavior of German soldiers toward the French, of the detention camps, and of the efforts of the Resistance enable you to visualize the novel’s milieu? Which details did you find most compelling? Why? 15. Why do you think the author chose to frame her novel with beginning and ending chapters involving Charlotte and Lucien? Based on ambiguities in the book’s opening chapter, what assumptions did you make about Ruby and Thomas as you read the novel? How did you feel when you discovered the final chapter was about Charlotte and Lucien? 1. For Ruby, the fields of poppies that bloom on her parents’ property in Antelope Valley, north of Los Angeles, represent her home, the place she longs to return to in order to raise a family one day, the destination she describes to her beloved, Thomas, to fill his thoughts during their separation. Ask members of your group to reflect on their favorite places. What accounts for the significance of these physical locations, and when do they access them now? Whom have they shared time with at these destinations? 2. Throughout The Room on Rue Amélie, Ruby and Charlotte grapple with the question of God’s existence in the midst of suffering and wartime. For each of them, God’s presence is something felt and experienced through the kindness of others and through acts of self-sacrifice. Ask members of your group to consider personal crises they have faced. What sources of strength have they encountered during those periods in their lives? To what extent could they relate to the crippling doubt, anxiety, and questioning of faith that arose for Charlotte and Ruby in occupied Paris during World War II? 3. At the end of her life, Ruby writes three letters—one to her parents, one to Thomas in care of the Royal Air Force, and one to Charlotte. Ask members of your group to consider the people in their lives they would feel compelled to communicate with in their final moments. What might Ruby have included in each of her letters? How would members of your group feel about being the recipients of end-of-life letters? How has the age of social media changed the traditional methods of communicating with those we love most? 4. World War II was won primarily by the Allied armed forces, but personal stories of bravery similar to Ruby’s also represent many small triumphs that helped turn the tide—and helped save innocent lives. Ask members of your group to discuss what might have happened had individuals such as Ruby not stood up for goodness in the face of evil. Might the outcome of the war have been different? How important is it to stand up for what you believe in, even if it means putting yourself in peril? Discuss times in your own lives when you’ve taken risks to stand up for what’s right, and whether there are instances in your own lives now in which standing up for what you believe in might make a difference. 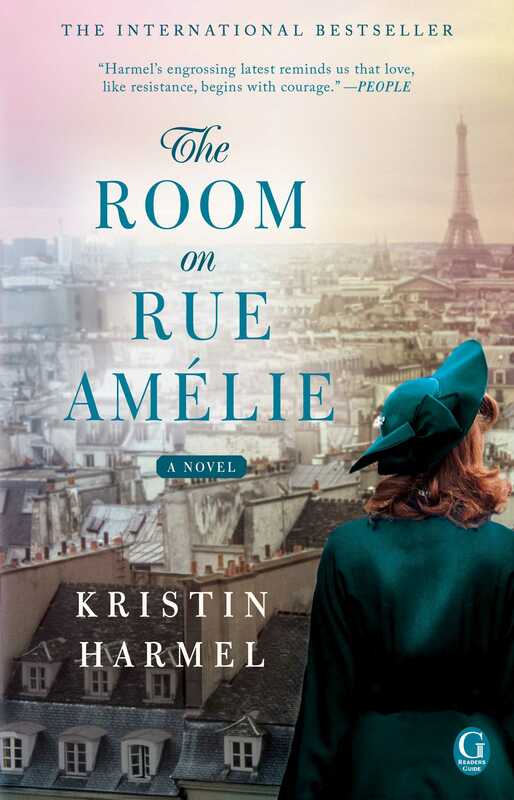 "Reminiscent of The Nightingale and The Map of the Heart, Kristin Harmel's THE ROOM ON RUE AMELIE is an emotional, heart-breaking, inspiring tribute to the strength of the human spirit and the enduring power of love." "The strong and courageous inhabitants of THE ROOM ON RUE AMELIE occupied all my time until the tender and powerful final pages. 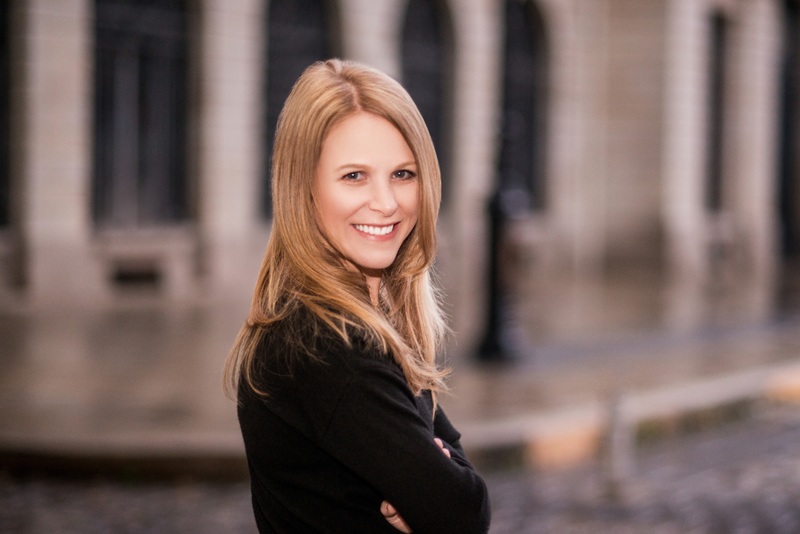 Beautifully written, Kristin Harmel’s latest is an unforgettable exploration of love and hope during the darkest of moments." "Harmel injects new life into a well-worn story in this hopeful three-voiced tale about the struggle to find normalcy amid the horrors of WWII... Harmel’s emotionally fraught story hammers home the message that each person has a unique opportunity to stand against injustice. This is a celebration of those, like Ruby, who found the courage to face life head-on." "Richly detailed and yet fast-paced, Harmel’s story flows at remarkable depth, as ordinary citizens rise to the challenge of extraordinary circumstances in occupied France. A fascinating exploration of the escape routes set up for downed Allied pilots, readers will be swept up in this heart-wrenching drama." "A story of courage and love in unimaginable circumstances."